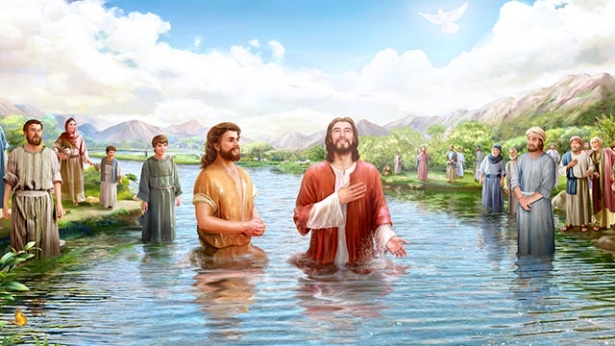 All that Almighty God expresses is the truth, and The Word Appears in the Flesh is in fact the utterances of Almighty God, who is the second coming of the Lord Jesus. All who have a heart and a spirit will wholeheartedly accept it upon seeing His word, recognize that it is the voice of God, and bow down before God. 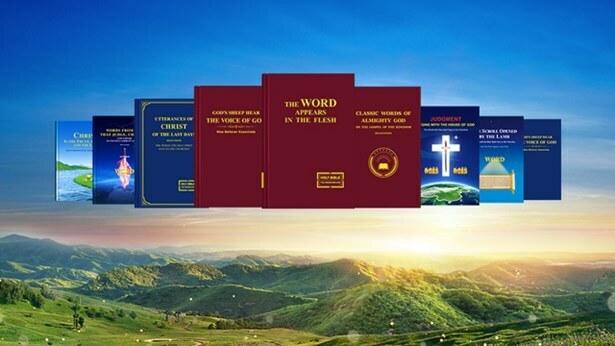 However, there are still some people who believe that the words expressed by Almighty God in the last days are merely words written by a man inspired by the Holy Spirit, and they do not believe it is the actual word of God. This shows that our belief in God does not necessarily mean knowing God, that we are unable to distinguish the word of God from the words of man, and that we furthermore cannot clearly distinguish words that accord with the truth from the actual truth. In fact, there is a very distinct difference between words that accord with the truth and the actual truth. The word of God is truth and no one can deny that, but the words of man, at best, are merely in accord with the truth. If one were to compare the words of man that accord with the truth to the word of God, would there really be no difference? Would he really not be able to see the difference? Can someone be said to possess the truth if they have experienced God’s word and have knowledge of His word? If someone speaks words that are in accordance with the truth, does it mean that he expresses the truth? The saints of ages past said many things that accord with the truth; can those words be discussed on equal terms with the truth expressed by God? Those who genuinely understand the truth and recognize the truth can see that there is a very significant difference between words that accord with the truth and the truth itself. It is only those who do not understand the truth, or who fail to recognize it, that conflate the two. If we are to distinguish words that accord with the truth from the truth, we must understand exactly what the truth is. We who have faith in the Lord have read many of His words, we acknowledge that authority and power of His words, and we are also able to feel that only the word of the Lord is the truth. We will never fully experience the truth, and regardless of how much experience or understanding of the truth we have, we could never dare to say that we fully possess the truth or have a true understanding of God. Within the religious community, there are many pastors and elders who dare interpret the Bible, but they dare not interpret God’s word as they wish. None among mankind dare say that they understand God’s word, and none dare say that they understand the truth. This shows that the substance of the truth is incredibly profound, and can only be expressed by God. When man experiences God’s work, they can only achieve a certain amount of understanding of the truth, enter into a part of its realities, and say a few things that accord with the truth, which is about as good as one can expect. However, they can never possess or express the truth. This is a fact. In ages past, the saints said many things that accord with the truth, but none would dare say that those words are the truth. What is the truth then, exactly? Truth is expressed by God, and only Christ is the truth, the way, and the life. Everything that God says is the truth, everything God says represents His disposition and all that He is and has, and His words are full of His almightiness and wisdom. God used His words to create the heavens, the earth, and all things, and God uses His words for His work toward mankind’s salvation; through God’s words all things are achieved. People who have experienced God’s work are all able to see the might and omnipotence of God’s words, which proves that only God can express the truth. The might of the truth and its eternal nature are unfathomable to mankind, only the truth is eternal, and it coexists with God. It is everlasting and immutable. If mankind gains the truth as life, then they have attained everlasting life. The significance of God bestowing truth upon man so that man may gain the truth as life is very profound. It’s just as Almighty God says, “The truth put into human language is man’s aphorism; humanity will never experience it fully, and humanity should live in reliance on it. A piece of truth can let all of humanity survive for thousands of years. “Truth is the life of God Himself, representing His own disposition, representing His own substance, representing everything within Him” (“Do You Know What Truth Really Is?” in Records of Christ’s Talks). “The truth is the most real of life’s aphorisms, and the highest of such aphorisms among all mankind. Because it is the requirement that God makes of man, and is the work personally done by God, thus it is called life’s aphorism. It is not an aphorism summed up from something, nor is it a famous quote from a great figure; instead, it is the utterance to mankind from the Master of the heavens and earth and all things, and not some words summed up by man, but the inherent life of God. And so it is called the highest of all life’s aphorisms” (“Only Those Who Know God and His Work Can Satisfy God” in The Word Appears in the Flesh). “The truth comes from the world of man, yet the truth among man is passed on by Christ. It originates from Christ, that is, from God Himself, and is unattainable by man” (“Success or Failure Depends on the Path That Man Walks” in The Word Appears in the Flesh). Why can’t it be said that man’s words that accord with the truth are the truth? Because man’s words that accord with the truth merely represent their experience and knowledge of the truth, and are the result of the work of the Holy Spirit. The Holy Spirit works to enlighten and lead people to a gradual understanding of truth and entry into its realities, in accordance with people’s actual spiritual stature at the time. Each time the Holy Spirit enlightens people, it affords them only a partial understanding of the light of truth and only a small bit of knowledge of the reality of the truth. The Holy Spirit would never provide the full substance of the truth to man all in one step, because man could not achieve it and would not be able to experience it. What man says that accords with the truth is a very shallow and limited understanding and experience of the truth, and is far from the substance of the truth. This is greatly subpar to the standard of the truth, so it cannot be said to be the truth. Even if what man says is inspired by the enlightenment and illumination of the Holy Spirit and fully accords with the truth, it is merely for man’s edification and benefit, but it cannot be man’s life, whereas the truth can be man’s eternal life. This is because man can never fully experience the substance of the truth, and can never fully live out the image of the truth. Man can only live out a small part of the image of the truth, which is actually quite good. The truth can forever be man’s life and can give man everlasting life, but when mankind says words that are in accord with the truth, it is merely a temporary way to assist in their edification, and the effect that it has only lasts for a period of time, therefore such words cannot be man’s everlasting life. This is the substantive difference between words that accord with the truth and the truth itself. From this, we can see that even if man’s speech is enlightened by the Holy Spirit and even if it accords with the truth, it still cannot be said to be the truth. This is factual, and those with life experience are able to learn and feel this. If we are to differentiate between man’s speech that accords with the truth and the words expressed by God in the flesh, we must first be clear that God has divine substance of God and man has human substance. God’s word is a revelation of God’s life and it is an expression of God’s disposition, whereas the words of man reveal human substance. Only the direct expressions of the Holy Spirit are the truth, and only those expressions are the word of God. This is because the substance of God’s life is unique and possessed by no man. However, the people used by God and people who have the Holy Spirit’s work can speak words that accord with the truth and that can edify others. This comes from the enlightenment and illumination of the Holy Spirit and also from man’s experience with and understanding of the truth in God’s word. However, this is not a direct expression of the Holy Spirit, therefore it is not the word of God. Almighty God says, “In fact, the truth is the most real of life’s aphorisms, and the highest of such aphorisms among all mankind. Because it is the requirement that God makes of man, and is the work personally done by God, thus it is called life’s aphorism. It is not an aphorism summed up from something, nor is it a famous quote from a great figure; instead, it is the utterance to mankind from the Master of the heavens and earth and all things, and not some words summed up by man, but the inherent life of God. And so it is called the highest of all life’s aphorisms” (“Only Those Who Know God and His Work Can Satisfy God” in The Word Appears in the Flesh). “You have to understand the actual scope of the truth and understand what is outside the scope of the truth. “If people gain some insights and have some understanding based on their experiences from the words of truth, does this count as the truth? At best it can be said that they have some understanding of the truth. All the words of enlightenment of the Holy Spirit do not represent God’s word, do not represent truth, and they do not pertain to the truth. It can only be said that those people have some understanding of truth, and some enlightenment of the Holy Spirit. … Everyone can experience the truth, but the situations of their experience will be different, and what each person obtains from the same truth is different. But even after combining everyone’s understanding you still cannot completely explain this one truth; the truth is that deep! Why do I say that all of the things you have obtained and all of your understanding, cannot be a substitute for the truth? If you fellowship your understanding with others, they may ponder on it for two or three days and then they will finish experiencing it, but a person cannot fully experience truth even in a lifetime, even all people together cannot experience it thoroughly. Thus it can be seen that the truth is very profound! There is no way to use words to fully articulate the truth, the truth put into human language is man’s aphorism; humanity will never experience it fully, and humanity should live in reliance on it. A piece of truth can let all of humanity survive for thousands of years. “Truth is the life of God Himself, representing His own disposition, representing His own substance, representing everything within Him. If you say that to have some experiences means that you have the truth, then can you represent the disposition of God? You cannot. A person may have some experience or light regarding a certain aspect or side of a truth, but they cannot supply others with it forever, so their light is not truth; it’s just a certain point that is attainable for a person. It’s just the proper experience and understanding that a person should possess, which is their practical experience of truth. This light, enlightenment and understanding based on experience can never be a substitute for truth; even if all people have completely experienced one sentence of truth, and they combine all those words together, that is still no substitute for that one truth. … What do I mean by this? I mean that the life of man will always be the life of man, and no matter how much your understanding is in accordance with the truth, in accordance with the intentions of God, in accordance with the requirements of God, it will never be able to be a substitute for the truth. To say that people have truth means that they have some reality, that they have some understanding of God’s truth, that they have some real entry into God’s words, that they have some real experience with God’s words, and that they are on the right track in their faith in God. Only one statement of God is enough for a person to experience for a lifetime; even if people were to have the experience of several lifetimes or of several millennia, they still wouldn’t be able to wholly and thoroughly experience a truth” (“Do You Know What Truth Really Is?” in Records of Christ’s Talks). 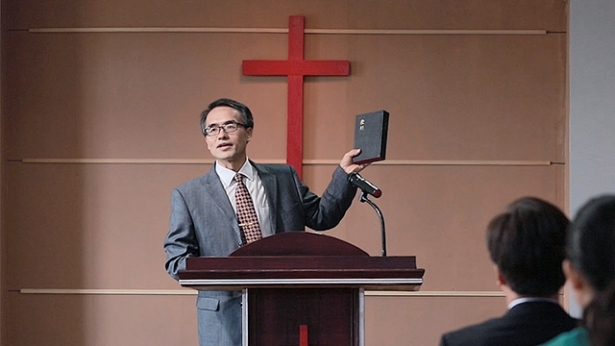 As far as the difference between man’s words that accord with the truth and God’s word, the words of Almighty God provide a very clear explanation: Truth comes from God, it is expressed through Christ, and it is also the direct expression of the Holy Spirit, and everything God says is the truth. Truth is the very life of God Himself, it is an expression of God’s righteous disposition, it is a revelation of all that God has and is, it is the reality of positive things, and it represents the substance of God’s own life. However, people used by God and people who have the Holy Spirit’s work can speak words that accord with the truth. This comes from the enlightenment and illumination of the Holy Spirit, and also from man’s experience with and understanding of the truth in God’s word. These words that accord with the truth represent man’s experience and understanding. They are the reality of the truth that man has achieved entry into, and are a result of God’s work. It does not matter how deep or shallow man’s understanding of truth is, or how well they know God, everything said by mankind reveals the substance of their human lives. Because the words spoken by man that accord with the truth are so far from the depth of the substance of truth, what man says cannot be called the truth. There are inherent and substantial differences between words that accord with the truth and the actual truth. God’s word is truth, it is the substance of God’s life, so God’s word is everlasting and unchanging. It is just as the Lord Jesus said: “Heaven and earth shall pass away: but My words shall not pass away” (Luk 21:33). Almighty God also says, “My words are the forever unchanging truth” (“You Ought to Consider Your Deeds” in The Word Appears in the Flesh). This is very much like the Ten Commandments promulgated by God in the Age of Law: Although thousands of years have passed, they are nonetheless still adhered to by mankind today. This is because God’s word is truth, it is the reality of positive things, it is able to withstand the test of time, and it shall stand through all eternity. However, because man’s words are not the truth, they will not last forever. We can see from the progression of human history, whether it be in the area of scientific research and law, or in sociological theories, that in a matter of time the words of man are overturned or abandoned, or even become outdated in the blink of an eye. Even if the words that man says accord with the truth, they can only be helpful to us, provide for us, and support us on a temporary basis. They cannot be our life. Why do we say that man’s words cannot be man’s life? Because while man’s word may accord with the truth, it is merely man’s experience with and understanding of God’s word and it is very far from the substance of truth and in no way can it represent truth, nor can it have the effect of being man’s life that truth does; it can only temporarily help us and provide edification and support, so that’s why man’s word that accords with the truth is not the truth, and it cannot be man’s life. So how is it that only God’s words can be man’s life? Because God’s word is truth and is the reality of positive things, we humans can never fully experience it, and each truth is inexhaustible to mankind. Even if we were to experience eternity, we still could not dare say that we possess truth or have fully gained the truth. This is a fact. Furthermore, the truth can cleanse mankind, save mankind, and perfect mankind. By relying on the truth to live, we can live out the likeness of a true man, live out the image of truth, and thereby can come to know God, submit to God, worship God, and be compatible with God, which was God’s intention when He first created mankind. Just as the Bible says, “Let Us make man in Our image, after Our likeness” (Gen 1:26). God’s intent in creating mankind wasn’t just to provide mankind with a physical body, but primarily was to bestow mankind with new life. This new life is God’s word, which is the truth. When truth becomes our life, when it becomes the reality of our life, which is when we live out the image of truth, and live out the likeness of a true man, then we will have fulfilled God’s intention in creating mankind. Therefore, we say that only God’s word and only the truth can be man’s everlasting life. Even though people used by God may have some experience with and understanding of God’s word, and they may be able to say some things that accord with the truth, this is an effect of the Holy Spirit’s work. It is God’s salvation and God’s perfecting of man. The words of people used by God that accord with the truth or their true understanding of God does not mean that they possess the substance of truth, nor does it represent possessing the life of God. Instead, it merely shows that they have gained truth and that truth has become the reality of their lives. This is because man is not the truth, and would not dare say that they truly possess the truth. Therefore, regardless of how much man’s words accord with the truth, or how much they can edify us, they cannot be said to be the truth, and furthermore they are not the word of God. If we want to know why the words that accord with the truth spoken by men that God uses are not the truth, we must first be very clear about what the “truth” actually is. Throughout all of history, no person has ever truly known what the truth is. When the Lord Jesus came to this world in the Age of Grace, He said, “I am the way, the truth, and the life” (Jhn 14:6). Still no one understood the actual meaning of the “truth.” Only when Christ of the last days—Almighty God—arrives are the mysteries of the “truth” completely revealed to mankind. Let’s look at what Almighty God says about this: “The truth comes from the world of man, yet the truth among man is passed on by Christ. It originates from Christ, that is, from God Himself, and is unattainable by man” (“Success or Failure Depends on the Path That Man Walks” in The Word Appears in the Flesh). “The truth put into human language is man’s aphorism; humanity will never experience it fully, and humanity should live in reliance on it. A piece of truth can let all of humanity survive for thousands of years. From Almighty God’s words, we can see: Truth comes from God, and comes from Christ’s expression. That is to say, all the words spoken by God are the truth. This is because the truth is the substance of God’s life, God’s disposition, what God has and is, and the reality of all positive things. The truth is everlasting and will never change. God’s words have authority and power. They can purify, save, and perfect man, and can be man’s eternal life. So, all the words expressed by God are the truth. God’s work, revelations, and what He ordains are all the truth. That which God decrees or prescribes for man to maintain and abide by, and all that He requires of man and commands man to live out is the truth, the reality of all positive things. And so, there is truth to be found in every single word that God speaks. In every stage of His work, God has expressed many truths. The precious life that God bestows upon us humans is within these truths. All that God expresses during the work of His two incarnations is the truth. It is just like the Lord Jesus’ words in the Age of Grace: His words allowed mankind to witness God’s disposition, His love, and holy substance. These are all the precious truths that help mankind to know God. The Lord Jesus’ love, mercy, tolerance, and forgiveness toward mankind, as well as His requirement of man to love God with all their heart, soul and mind, to love their neighbors as they love themselves, to be the light of the world and the salt of the earth, these are all positive things. They are the truth. They are also the reality of life that man must possess. Christ of the last days, Almighty God, has come and He expresses all the truth of judging, purifying, and perfecting mankind. These truths are the reality of life that man must come to possess in the Age of Kingdom. Christ of the last days reveals to man God’s disposition of righteousness, majesty, wrath, and intolerance of offense. He reveals the mysteries of God’s management plan to save mankind, the mysteries of God’s three stages of work, the substance and inside truth of each stage of His work, as well as the mystery of His incarnation, how God does the work of judgment in the last days, and what the kingdom of Christ is. He discloses how God reveals the ends of each and every kind of person, and how God rewards good and punishes evil. He reveals the meaning of God’s righteousness, the meaning of God’s holiness and the symbolic meaning of God’s disposition, His delight, anger, sorrow, and joy. He reveals what is righteous and what is wicked, what is positive and what is negative, and the essence and facts of man’s corruption by Satan. Almighty God shows man how to fear God and shun evil, what the true life is and how to live meaningfully, and so on. Almighty God has revealed all these truths and mysteries to man so they can come to know and understand, so that they will fear God and shun evil, obey and worship God. Almighty God’s truth is the way of eternal life that mankind should possess. Those who embrace all of God’s truths and live by them will gain eternal life. Whereas those who refuse to accept any of the truth will surely perish. So, all the truths Almighty God expresses in the last days are God’s work of ending an age and ushering forth a new age in the last days. Men used by God are the ones God saves and perfects. Their duty in God’s work is to cooperate with God’s work and to lead God’s chosen people. And so, any words they speak that are in line with the truth are the fruits of the Holy Spirit’s work. Though these words are beneficial to people, we cannot call them the truth, we cannot take them as God’s word because man’s words merely come from their knowledge and experience of the truth, and can only represent human perspective, ideas, and understanding, and will inevitably be diluted by human impurities. Besides, man’s knowledge and experience about the truth is limited. No matter how much he enters into the reality of the truth, he still can’t be said to embody the substance of the truth, nor can he be said to live out the truth in full. So even if he expressed some limited reality of the truth he has lived out, his words merely accord with the truth. They must not be placed on the same level as the truth itself. Only the words of God incarnate are the truth. That is to say, only God possesses the substance of the truth, and only God is truth. No matter how many years we have believed in God, we are always infants before God. We can never live out the image of God. And so, the words of the men God uses or men who have the work of the Holy Spirit can only be taken as words that accord with the truth. We cannot take them as the truth itself. This is an undeniable fact. When we call man’s words the truth, we’re opposing and blaspheming God! 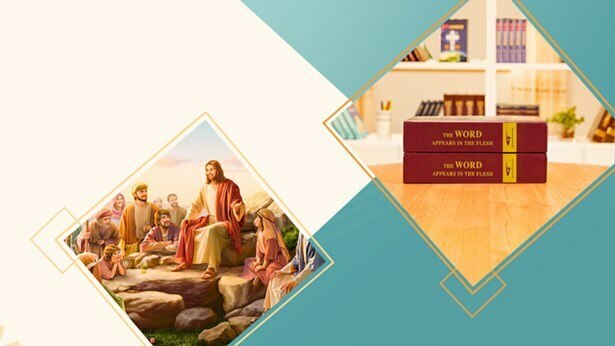 Previous：Question 28: You testify that the Lord Jesus has already returned as the incarnate Almighty God, that He expresses all truths to purify and save mankind and does the work of judgment beginning with God’s house, so how should we discern the voice of God and how should we confirm that Almighty God is indeed the returned Lord Jesus? Next：Question 30: The Pharisees frequently expounded upon the Bible to people in the synagogues. From the outside, they appeared to be pious and compassionate and didn’t seem to do anything clearly in violation of the law. So why were the Pharisees cursed by the Lord Jesus? How was their hypocrisy manifested? Why is it said that the religious pastors and elders of today are walking the same path as the hypocritical Pharisees?